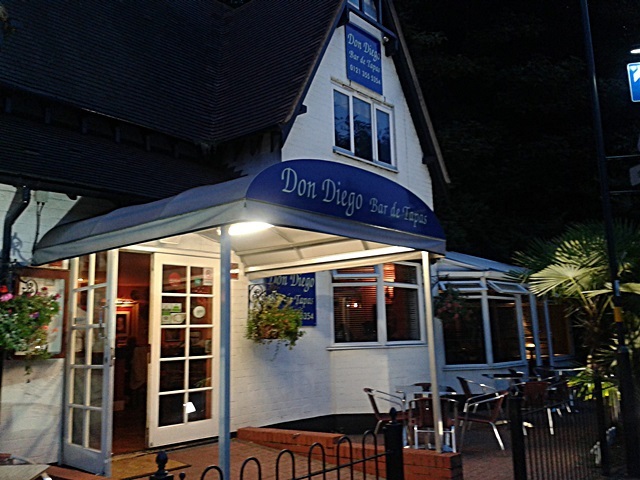 I've been to some tapas restaurants around Birmingham before but Don Diego is probably the most authentic Spanish one in town. It's actually located in Sutton Coldfield, northeast of the city. More or less 25 minutes (by car) from the city centre. Living in Sutton since June, I still haven't explored the area properly but its reputation for excellent restaurants, plus a 3rd Wedding Anniversary celebration in September, made my husband and I book a table at this popular establishment. 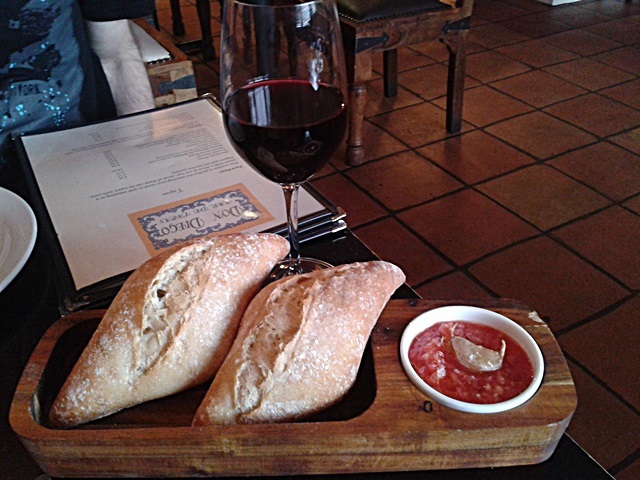 For a Friday afternoon, Don Diego seemed to be a very quiet place to eat. We probably were the first ones to have a table for dinner. A quietness that gave me plenty of time to have a look around the restaurant itself. 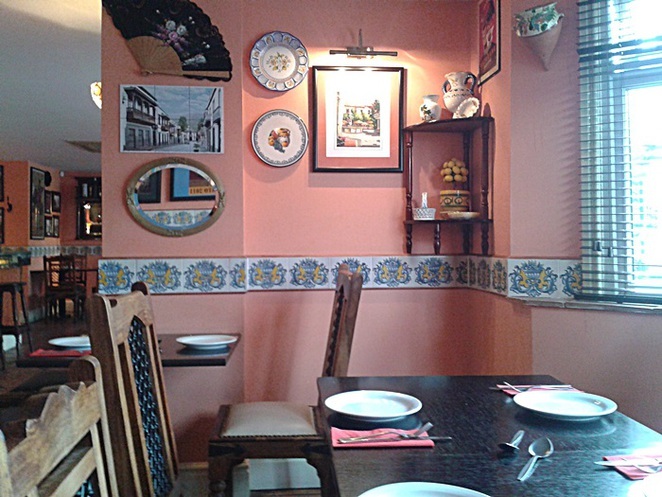 Its décor is pretty much what I would like to find in a Spanish tapas: big wooden tables, loads of pictures hang on the wall that remind me of a cantina española. A nice cantina, far from being a cheesy one. The staff is very friendly and attentive. As soon as I stepped into the place, we were warm welcomed from a lady that I believe is one of the owners. The restaurant was opened in 2012 and it's owned by a couple Alfonso and Emma Yufera-Ruiz. After she explained the concept of a tapas restaurant, we were pretty much ready to tuck in indeed! As it would be expected, Don Diego has a excellent "carta de vinous" and I had no excuse but to ask for a Rioja, the most popular of Spanish wines. 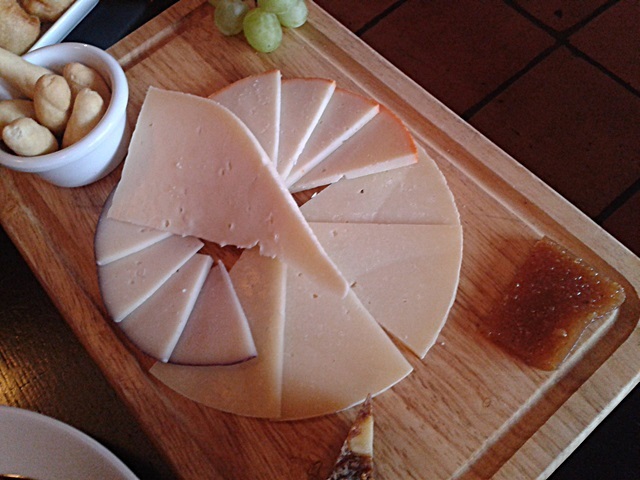 The board of cheese seemed just like a perfect match to my wine. 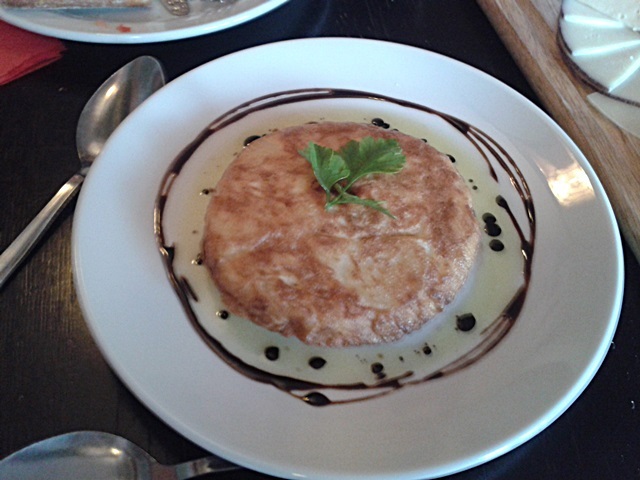 We also couldn't resist the famous Don Diego's Spanish bread board , a famous tortilla española and some homemade croquetas. 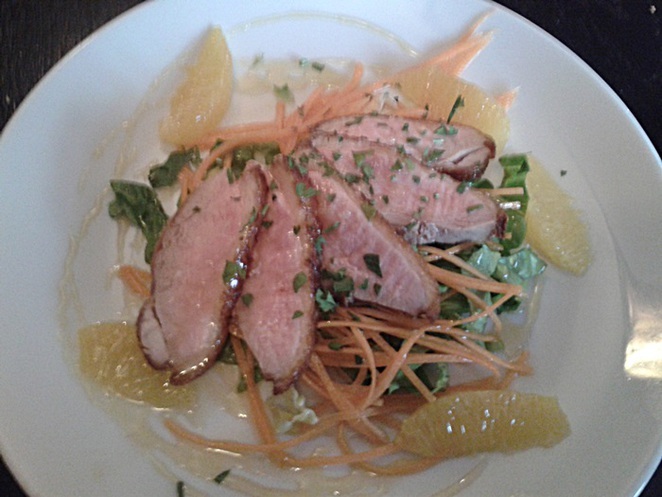 Actually, I kind of followed the recommendation of the menu and we choose more than 2 tapas. But not per head. Honestly, it was a lot of food but quality food anyway. Everything was so delicious that I would carrying on (easily) trying all tapas. More glasses of Rioja were consumed but in the end I should had asked the bottle of Juan de Alzate (£ 19.95) instead of several glasses (per £5.25). By the time we were ready to choose the main, the restaurant was busy with families, couples, friends and maybe business people who work around enjoying the Latin music and nice vibe of a Friday evening in Sutton Coldfield. For main course we both decided different kinds of meat. I was so keen on trying the Duck Leg confitado, Seville Orange compot (£7.75) that I avoid have a proper look at the entire menu. I'm sure I made the right decision. But I like the way the menu at Don Diego is diversified with a range of options from "Del Mar" (seafood), "De la Tierra" (From the Land) to "From the Ground" (vegetarian). It's a very creative way of showing the customer how diversified a menu at a tapas restaurant can be. And because it's a very tempting menu I do admit that I had a quick check online before visiting Don Diego. 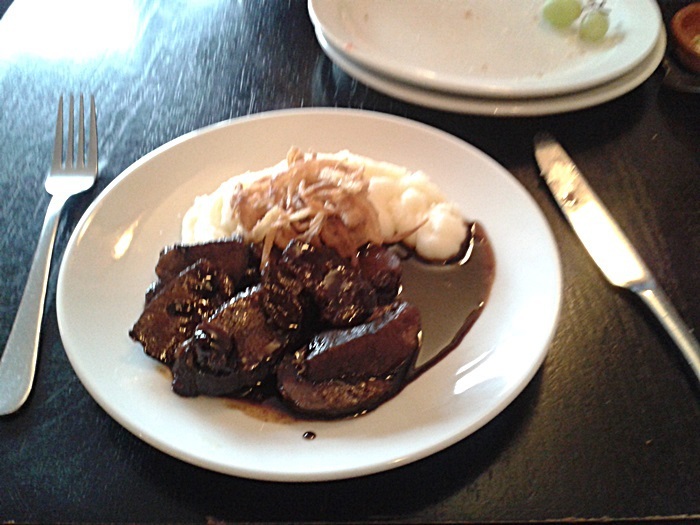 My husband had a delicious Iberico Pork Cheek cooked in Red Wine. Olive Oil Mash (£6.75 ). And it was spot on. Even skipping the puddings I think it's one of the best restaurants in Birmingham and I do recommended it. 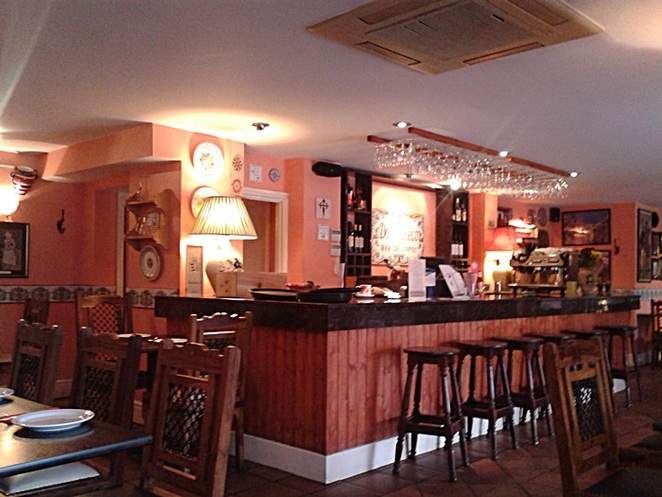 Especially if you want a full Spanish tapas experience.